The impacts of the recent partial shutdown of the U.S. Federal Government on bird conservation—and non-profit organizations like Bird Conservancy—are not immediately obvious. But the effects are far-reaching and have a lasting impact on regional economies, our nation’s farmers and producers, and our natural resources. Nearly 50% of Bird Conservancy funding comes from federal government contracts and support. During the shutdown, many federal agencies including the National Park Service, Forest Service, Fish & Wildlife Service and Bureau of Land Management were furloughed. Grant and contract payments came to a halt, cutting cash flows to organizations like ours that provide valuable services to society in partnership with federal agencies. Prolonged shutdowns can have serious implications as organizations are forced to rely on cash reserves and make hard decisions about scaling back investments, operations and staffing. The 2017 State of the Birds report highlighted the importance of the Farm Bill to conservation on working lands. The Farm Bill program is often associated with things like the Supplemental Nutrition Assistance Program (formerly known as Food Stamps) and agricultural subsidies for crops like soybeans and corn. However, the Farm Bill is also critical source of funding for the enhancement of natural resources on private lands, which in turn benefits agricultural families and communities, local economies, wildlife and ecosystem health. The Farm Bill is the most important legislation for conserving private lands in the United States. About 70 percent of the land in the lower 48 states is privately owned. Nearly half of the contiguous United States, or 900 million acres, are managed for agriculture such as cropland, rangeland or pastureland. The bill provides financial support for vital ecological services, such as clean water, healthy ecosystems and keeping working lands working. Bird Conservancy’s Private Lands Wildlife Biologists help implement Farm Bill programs in partnership with the federal agency USDA Natural Resources Conservation Service, in tandem with other partners that include state agencies and foundations. Such programs include Conservation Stewardship Program(CSP), Conservation Reserve Program (CRP), Working Lands for Wildlife (WLFW), the Environmental Quality Incentives Program (EQIP), and the Wetlands Reserve Program (WRP). 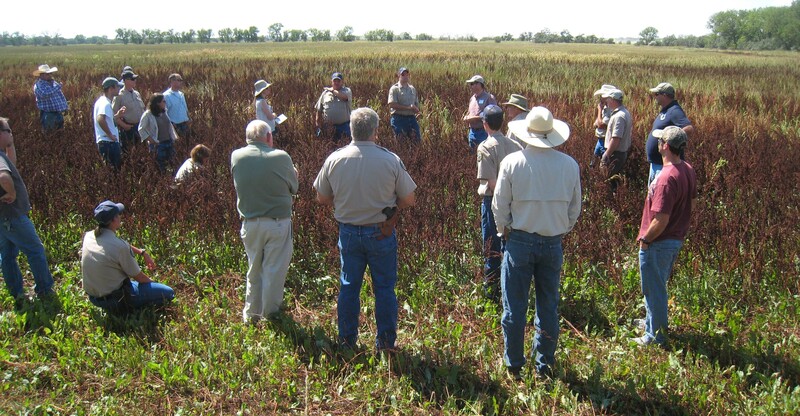 Farm Bill programs enable Bird Conservancy to offer technical assistance and workshops to help landowners with habitat enhancements, science-based land and water management practices, achieving sustainability goals, conservation plans and more. The strengths of our partnerships means that hardships endured by the federal government and its nearly 800,000 furloughed employees are shared by us at Bird Conservancy. Lapses in funding create obstacles to delivering top-notch technical assistance and science-based conservation. Collaborative conservation projects with farmers and ranchers from Montana to New Mexico could be put on hold—leaving plans, materials and equipment idle in the field. Disruptions in program support and funding strain the hard-earned trust of private landowners, impacting the bottom line of their operations as well as risking conservation gains already achieved. And, Farm Bill programs are just one aspect of this story. Federal agency partners and programs are also vital to our delivery of cutting-edge scientific research and avian monitoring efforts like Integrated Monitoring in Bird Conservation Regions. Federal initiatives like the Wetlands Reserve Program (WRP) are empowering public-private partnerships on private lands. 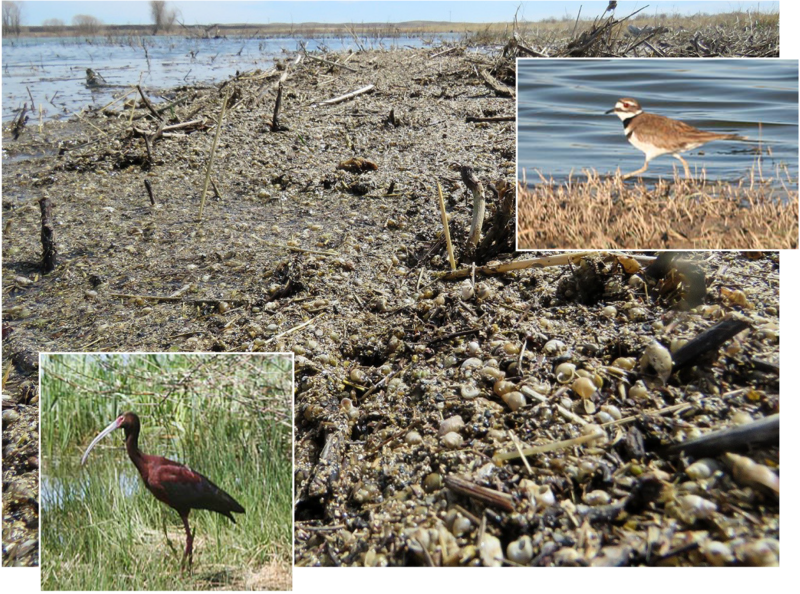 The Prewitt Ranch wetlands restoration project in NE Colorado is a team effort that includes Bird Conservancy of the Rockies, NRCS, Colorado Open Lands, U.S. Partners for Fish and Wildlife, Ducks Unlimited and Whiting Petroleum. Keeping calm and carrying on—for now! Thanks to your generosity and sound fiscal management, Bird Conservancy was able to weather this unforeseen situation. Your gifts help ensure Bird Conservancy’s future during challenging times, diversifying our funding streams and increasing our organization’s resilience. Your vocal support of conservation helped our elected officials clearly understand the impacts, and joined a chorus of others to ensure the message was heard loud and clear. Thank you for your support and advocacy! At the time of this article’s writing, another shutdown in the near future is possible. We are optimistic, but remain vigilant. In the meantime, we join you and our other partners in continuing with our mission-critical work. Our dedicated, hardworking staff continue to prepare for the upcoming field season, working daily with landowners for habitat conservation, and inspiring people through education and outreach. We look forward to working with you to ensure a healthy world for people and birds and conservation of our natural landscapes including private and public lands! Public participation in the political arena is critical to ensuring a healthy world for people and birds and conservation of our natural landscapes including. 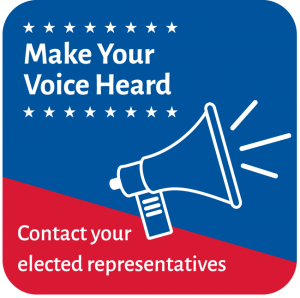 We encourage you to stay in touch with your elected officials and make your voice heard. Visit USA.gov to learn how to contact your federal, state and local elected leaders.